Christmas didn’t seem very long ago and now Chinese New Year is just round the corner. Another reason to feast! There is some unwritten rule about what to buy in my extended family. 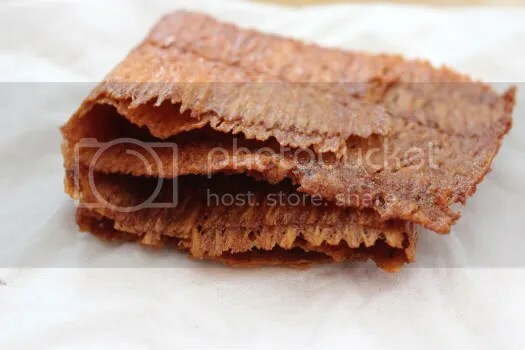 My aunt gets my favourite crispy cuttlefish, one of the friends gives us Lim Chee Guan Ba Kwa, another aunt bakes her own cookies (this year we got cornflake cookies! ), another aunt fries up tapioca chips, my mum gets the pineapple tarts and almond cookies and the list goes on…. I admit I’m extremely picky when it comes to pineapple tarts. If it is an open-faced tart, I wont even give it a second glance. Admit it, have you ever seen such a beautiful pineapple tart before? Pretty diamond cuts etched on the surface brushed with eggwash that gives the glossy golden-orange top. 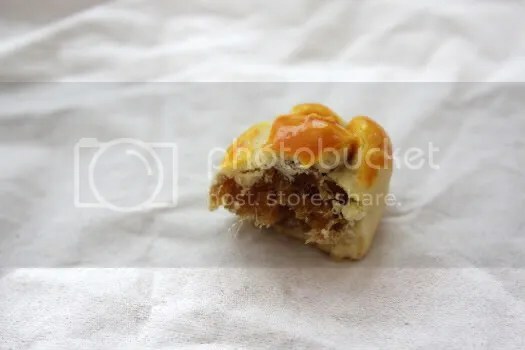 A thin buttery layer wrapping around a sizeable ball of caramalized pineapple jam. The jam is moist and fibrous, not too sweet but bursting with its natural flavour. I went to their house to collect the tarts once and omg, it was pineapple tart land there. Hundreds of golden pineapple tarts sitting on trays cooling before they were carefully lined into the bottles. In the living room sat a few old grannies expertly rolling the pineapple jam into perfectly round balls. 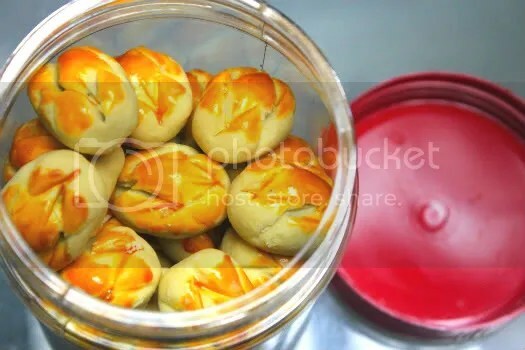 Homemade pineapple tarts taste the best, really. It’s always a struggle between the almond tarts and the pineapple tarts. Which is better? Well the older folks prefer the almond tarts because they don’t use butter. 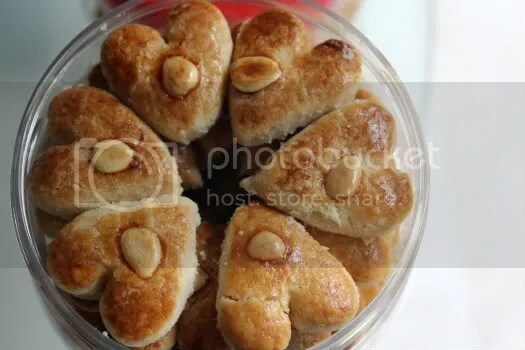 The almond tarts are comparatively lighter as a result and extremely addictive too. It crumbles easily and has a pleasant rough texture due to the ground almonds added. I can’t decide, I like love both. Crispy cuttlefish is a relatively new addition to our table of goodies because the aunt only started buying from her friend (yes it is homemade, again!) about two years ago. Ridiculously crunchy and balancing the extremes of spicy and sweet, I can’t stop snacking on this anytime of the day! It’s threatening to give me a sorethroat though. 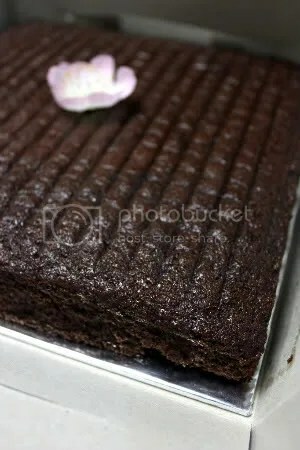 This year, one of the church friends baked her signature chocolate and prune cake. Who knew chocolate and prunes can be such a divine combination? 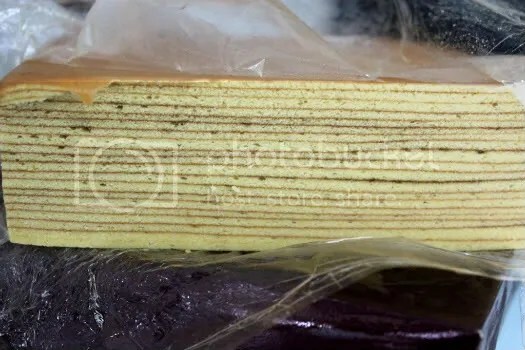 And of course, there is also kueh lapis that mum gets homemade from another collegue. I can’t imagine the amount of work that went into this, gosh! SCS butter is a must for kueh lapis to get that familiar buttery fragrance and oily texture. 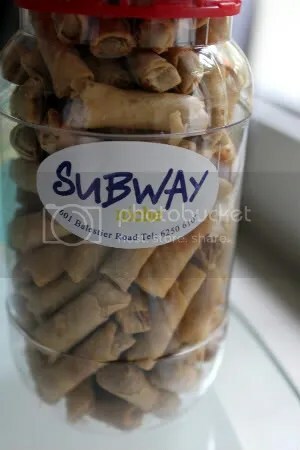 Every year we also get our fried mini spring rolls from subway niche. The sweet and spicy filling is done just about right in our opinion. I can’t wait to feast during all the any dinners and lunches lined up for the week ^^ For now, the goodies on the table will have to do! those pineapple tarts sound delish! happy CNY to you in advance! May this new year will bring prosperity and good fortune for you and your family. Dot: happy cny to you too (: Looking forward to beautiful photos from all your travels! Im also not a big fan of open-faced pineapple tarts. Oh my, I haven’t eaten my bak kwa yet i hope it’s still good! Happy CNY! What a spread! It made me drool!